South Korean envoys are talking about their meeting with North Korean dictator Kim Jong-un in Pyongyang this week, a conference that climaxed as Kim supposedly indicated he is prepared to discuss denuclearization in a face-to-face meeting with U.S. President Donald Trump. It is important to qualify that statement because as of Friday morning, the world is largely relying on the account of these South Korean intermediaries to report that a Kim-Trump meeting may occur before May. With that caveat in mind, South Korean national security adviser Chung Eui-yong and other officials described Kim as “relaxed” and bubbling with self-deprecating humor during the meetings. North Korea’s missile tests are usually conducted late at night or early in the morning and almost always trigger emergency national security meetings in Seoul when they occur. According to South Korea’s envoys, Kim was cordial throughout the meetings and took the initiative to bring up such sensitive topics as joint U.S.-South Korean military drills. A great deal of wine and ginseng liquor was served at the meetings. Kim and his wife, Ri Sol-ju, were described as “quite close to one another,” and Kim did not act like “one of your conservative husbands,” according to one South Korean source. Little is known about Ri other than her approximate age of 28, her background as the daughter of an elite North Korean family, and that she was first introduced as Kim’s wife by North Korean media in 2012. She visited South Korea in her teens as a member of North Korea’s cheerleading squad. The couple is believed to have three children, although that estimate is based in part on information from the most unreliable of sources, namely oddball basketball player and self-professed Kim bestie Dennis Rodman. The South Korean officials added that surveillance by North Korean security was exceptionally light, and they were given more freedom to move around than usual, adding to their sense that Kim was trying to make a good impression on them. Mr. Trump’s head-spinning decision to accept an invitation to meet with Kim Jong-un, North Korea’s leader, amounts to a remarkable diplomatic coup for Mr. Moon, who engineered the rapprochement in a whirlwind of diplomacy that began at the Winter Olympics last month and gained momentum faster than perhaps even he had anticipated. Mr. Moon went out of his way to credit Mr. Trump with each breakthrough and personally appealed to Mr. Kim’s sister to engage in talks with the United States. After Mr. Kim played host to the South’s envoys in Pyongyang, Mr. Moon immediately sent them to Washington to brief Mr. Trump, who agreed on the spot to an unprecedented meeting between a sitting American president and a North Korean leader. South Korea’s Chung Eui-yong credited President Trump’s “leadership” and “maximum pressure policy,” backed by solid international support, for making denuclearization talks possible. He added that President Moon extended his own “personal gratitude” for Trump’s leadership. Moon campaigned on a platform of improved relations with North Korea but was soon compelled to take a harder line by Pyongyang’s provocations. He has been consistent about demonstrating that his government will not be fooled by North Korean charm offensives or tricked into dropping out of the solid international coalition against North Korea’s nuclear program, a commitment the Moon administration repeated on Friday. Some analysts speculate that another factor in North Korea’s diplomatic opening could be Kim Jong-un’s declining health due to anything from obesity, diabetes, and gout to mental issues or a sexually transmitted disease. Intelligence experts caution that solid information about his health is difficult to come by, but the North Korean government has obliquely conceded health problems for the dictator on a few occasions. 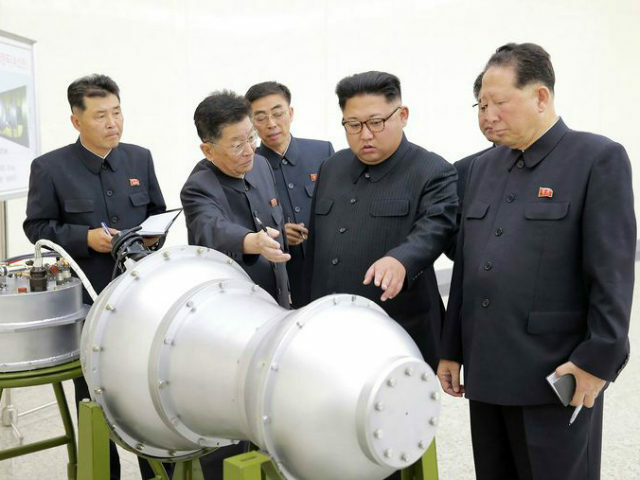 Persistent speculation also exists that North Korea’s nuclear missile program has suffered setbacks or hit serious stumbling blocks, problems that would be exacerbated by tight sanctions with vigorous enforcement. There is also much speculation that China has grown exasperated with North Korea, accompanied by personal animosity between top Chinese and North Korean leaders, exacerbated by North Korean suspicions that Beijing tried to stage a coup against North Korea. If nothing else, there are reasons to think Kim might judge this to be his best chance at striking an advantageous deal he can present to his people as a triumph made possible by his leadership; he has laid the groundwork for declaring victory in the nuclear race even if North Korea does not quite make it to nuclear ICBM capability.